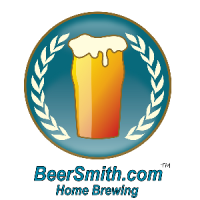 I’m pleased to announce the launch of BeerSmith Home Brewing Radio. My new online radio station is now streaming beer brewing interviews 24/7 at BeerSmith.com/radio, as well as available for a number of media and mobile players including iTunes Radio, WinAmp, TuneIn radio, Shoutcast, Quicktime, Windows Media and more. The station features all 70 episodes of the BeerSmith podcast, with interviews from top home brewing authors, professional brewers, educators, home brewers and suppliers. New episodes are added to the stream every other week. You can stream the shows to your mobile device as well, and a wide variety of players are supported. You can embed the BeerSmith radio player on your own web site – instructions are available on BeerSmith.com/radio near the bottom of the page. Additional players such as the one in the sidebar on our website are also available using the shoutcast feed listed on that page. If you have a product or organization you would like to promote on BeerSmith Radio, our web sites or the BeerSmith podcast, simply use the contact us page to drop me a note and we can provide you with information on our sponsorship options. Thank you for supporting the BeerSmith blog and podcast and making BeerSmith radio possible through your generous support. I hope you have a very happy holiday!